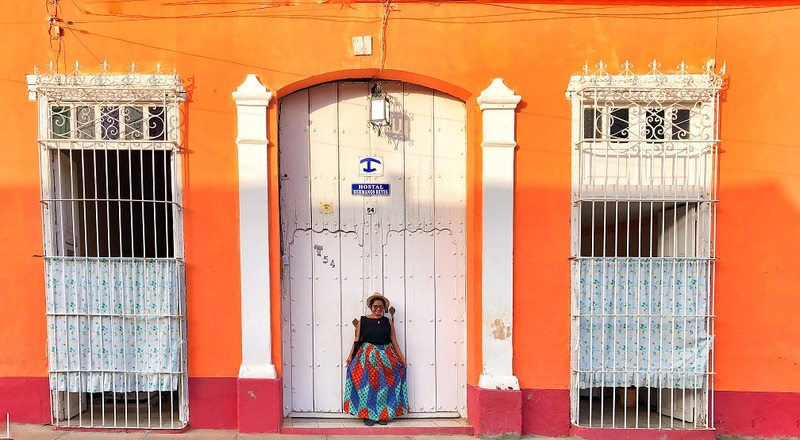 Trinidad has been the highlight of my trip to Cuba. It is hands down one of the best experiences I have had during my travels. This is credited to a combination of things. 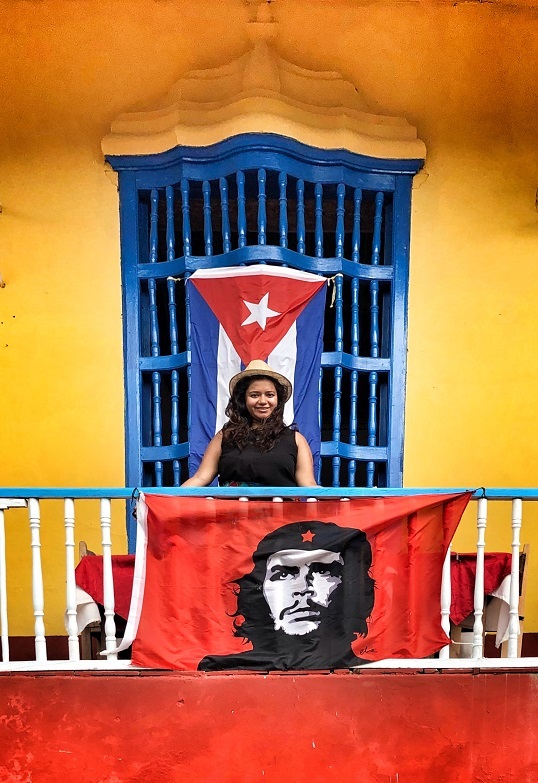 In Trinidad, I learned, and fell in love with, the essence of Cuba- a country which is much speculated about in the media. 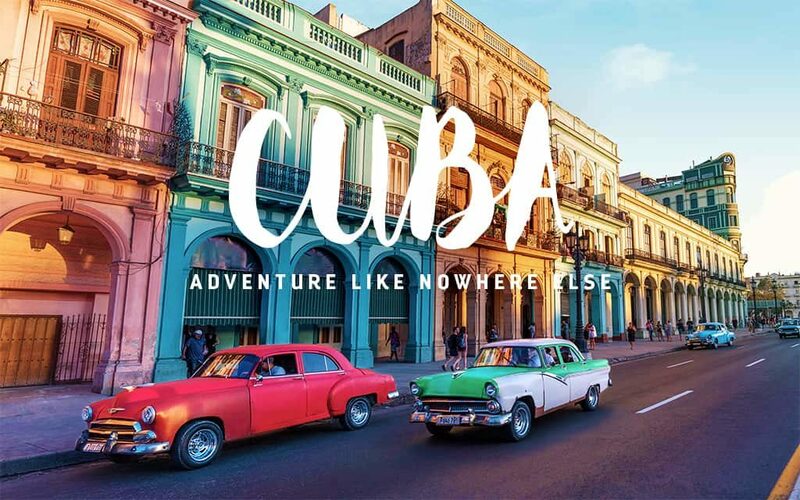 Throughout the years, I learned about an exotic and criticized version of Cuba, one that was studded with images of pseudo dictatorship, minimal human rights, cigars, salsa dancing and rum. This is the picture that was fed to me, and due to lack of diverse media, I ingested and internalized some of it. But Trinidad managed to squash all of these images and repaint a portrait of Cuba. Below is a guide to learning how you can fall in love with Trinidad, just as much as I did. Transport: If you are planning on coming to Trinidad from Havana, I suggest you look into Viazul busses. They are much cheaper than collectivos (shared taxis). The bus ride takes 6 hours – longer than a collectivo but certainly more comfortable and cheaper. You can book the busses online, in fact you should book them online – preferably before you arrive in Cuba. They cost $25 USD each way and the online payment is very easy. This is about $15 USD cheaper than a collectivo. Accommodations: Look for a Casa Particular (home stay) near, or walking distance, from Plaza Mayor, which is in the center of the city. I stayed with a lovely couple. They actually have a WIFI hot spot, which is a luxury in Cuba. Their place was a 9-minute walk from the bus station and the city center. I paid 14 USD/CUC per night for my private en-suite room and paid 4 USD/CUC for a large breakfast. Navigation: As a solo traveler, I think the most important thing to focus on is getting around in a new place. There are many things I love to do alone, but getting lost in the middle of the night in a new city where I do not speak the language, is not one of them. My savior in these situations, has been me. All you have to do is download this app on your smartphone, download the map of Cuba and voila, you’re set! However, Trinidad is not a place you can get lost in. It’s tiny and easy to navigate, but maps.me has saved me more than once, especially in Havana where taxis are more expensive than anything! Internet: Like everywhere in Cuba, you can buy sim cards that allow you to access the internet. The steps at the center of town in Plaza Mayor has access to internet, along with other parks. The price of the card is more expensive in Trinidad, 2 CUCs for 1 hour. I suggest to buying 5-hour cards for 5 CUCs from Hotel Plaza in the city center of Havana instead. Free Walking Tour: I highly recommend the free walking tour of Trinidad. The free walking tour is available in Spanish, English and Portuguese. 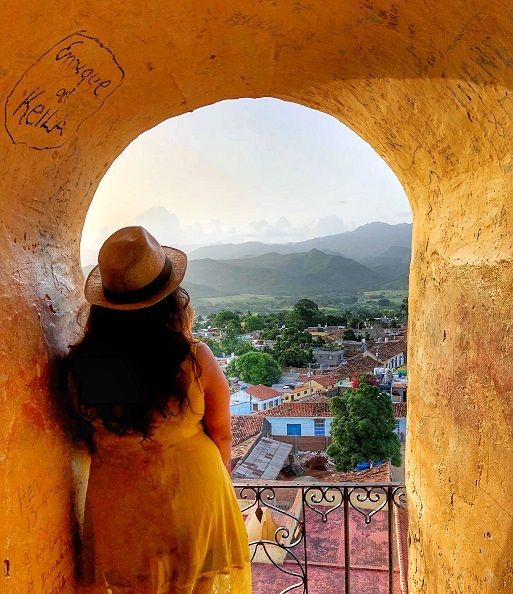 It starts at 5:30 PM every day at the park opposite to the Museum of the Bandits (the yellow bell tower which is the first thing you see when you google Trinidad, Cuba!). The walking tour is not only comprehensive in its historical overview of Trinidad, it is also a great way to know where to go for the best drinks, food, dancing etc. Although this is a free walking tour, I really suggest you tip the guides who work to provide you with information about the city. Food: Trinidad is studded with plenty of restaurants and bars, but I honestly have to admit, I really did not like the food in Cuba. Especially after coming from Mexico, it was a bit of a disappointment. You can however find something for every price range, from super cheap street side burgers and pizzas to elaborate meals. Many restaurants in the city center offer a big meal of bread, salad, a main dish of meat, fish or veggies and a side of rice and veggies for 5 CUC. Drinks: I don’t really drink alcohol, but Cuba has the world’s best rum, and of course mojitos and daquiris. You can find bars serving mojitos for as little as 1.50 CUC and they are always fresh and delicious. 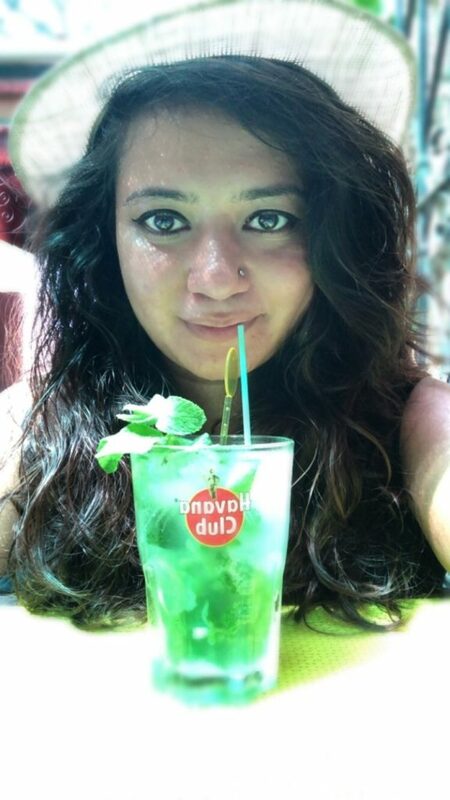 I over indulged in refreshing and delicious virgin mojitos, which due of the heat, was amazing. a) The Casa de La musica at the Plaza Mayor. This amazing spot used to be the house of the Priest from the church next door. It was later converted into a house of music by the government. You will find amazing salsa music every night for a nominal fee of 1 CUC per person. You can sit on the amphitheater style stairs, under the starry sky, with a mojito in your hand listening to amazing music. b) Palenque de Los Congos Reales. This is the place for Afro-Cuban music and dance. The entrance to this place is also 1CUC and you will find amazing music, drinks, vibes and decent food. Dance: Cuba is famous for many things, and salsa makes the top of the list. The music, the sway, the beats all ooze art! The most amazing place to go dancing in Trinidad is Latin America’s second cave club – Disco Ayala. It is set on a hill overlooking Cuba. The entrance is 5 CUC which includes a free drink. It is one of the coolest clubs I have been to in my life. The music is an incredible mix of Salsa, Latin and Afro-Cuban genres and you are certain to find a friendly local to dance with. Beach & Nature: If you are keen on going to the beach, there are buses that take tourists from the city at 9AM, 11AM and 1PM from in front of the Cubatur to Playa Ancon. The ride is about 1.5 hours and costs 5 CUC. This is ideal for a solo traveler, like myself, but if you are in a group, taxis cost 16 CUC. The last bus back from the beach is at 6 PM. Also, there are incredible waterfalls around Trinidad. There are people who will approach you in the city center with offers if you are interested in this. I did not have enough time to do this, but if you do, I heard it is amazing! An important note about currency in Cuba: There are 2 currencies in Cuba, the Cuban Peso, which is for the locals, 1 USD = 20 Cuban Peso (CUP) and the Cuban Convertible Peso (CUC) for the tourists, 1 CUC = 1 USD. But due to the current relations between the US and Cuba, the Cuban exchange offices charge an extra 14% when you exchange USD. I would suggest bringing EURO instead of USD, as the exchange rate is better. Plus, if you have an American bank account, make sure to bring plenty of cash because you cannot use your ATM card. 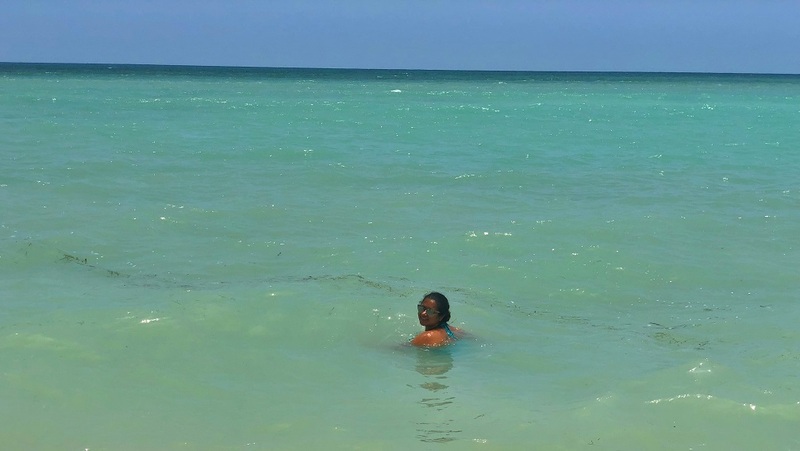 This entry was posted in Travel and tagged #Cuba, #RoadTo100Countries, #SoloTravel.